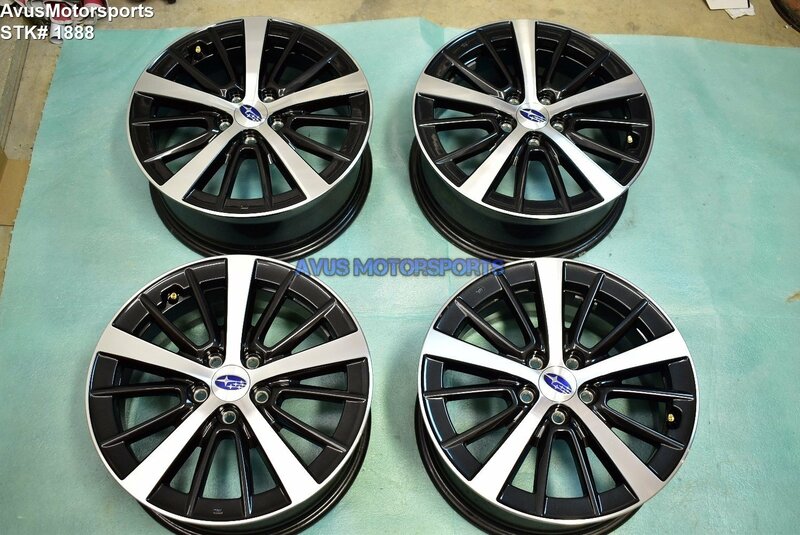 This item is for a set of (4) 2019 Subaru Impreza OEM 16" genuine factory wheels. These wheels were removed from a brand new 2019 Subaru Impreza with less than 50 miles, so they're in like new condition, there might be some minor blemishes (please view all pics). They were taken off because the customer installed custom wheels and tires. It is NOT from wrecked vehicles! These wheels has NEVER been remanufactured, repaired or refinished, 100% Original! !